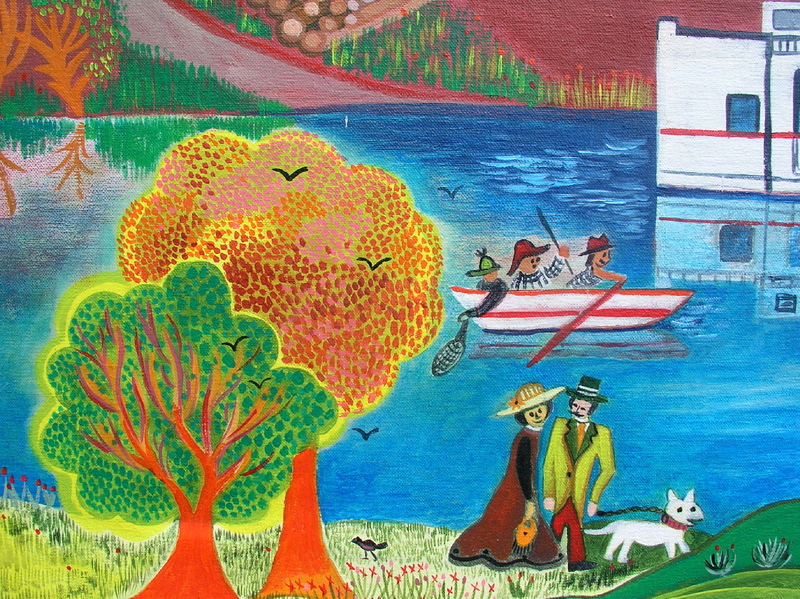 This is a colorful, and cheerful acrylic on canvas by the noted folk artist Janice Barnes depicting many of the activities and landmarks enjoyed in the Muskoka area of Ontario. 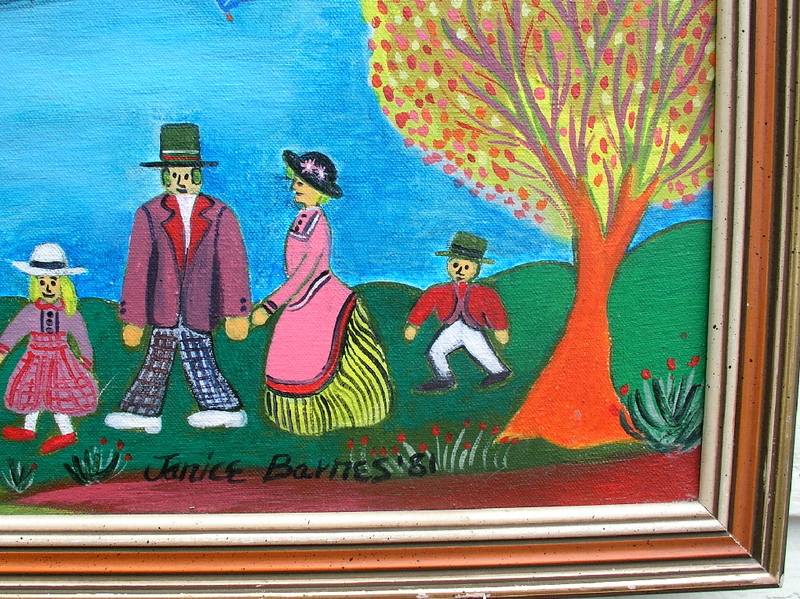 Ms. Barnes who now resides in British Columbia spent several years living in and painting the Muskoka Region, becoming widely known and collected for her charming and vibrant depiction of the beloved tourist region, both now and in the past, as is the case here. 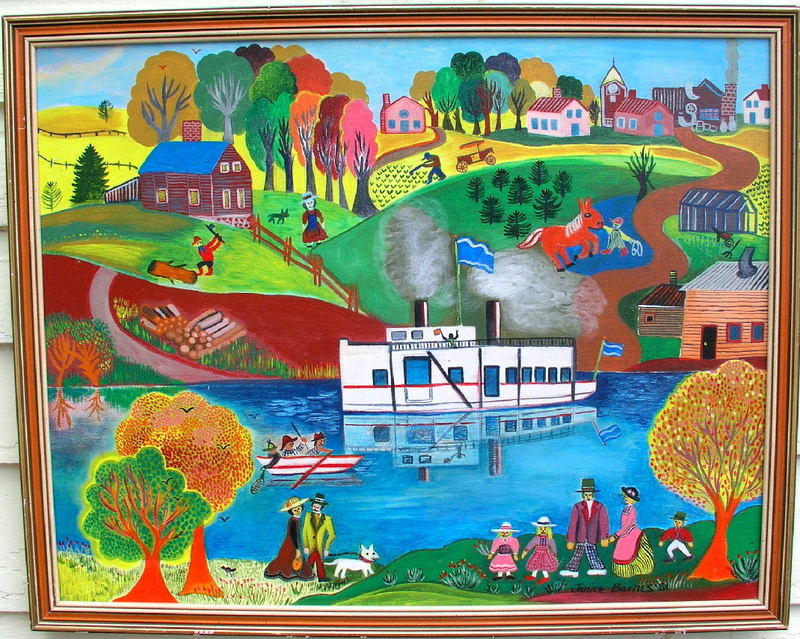 Signed and dated 1981 on the front. Excellent original condition. 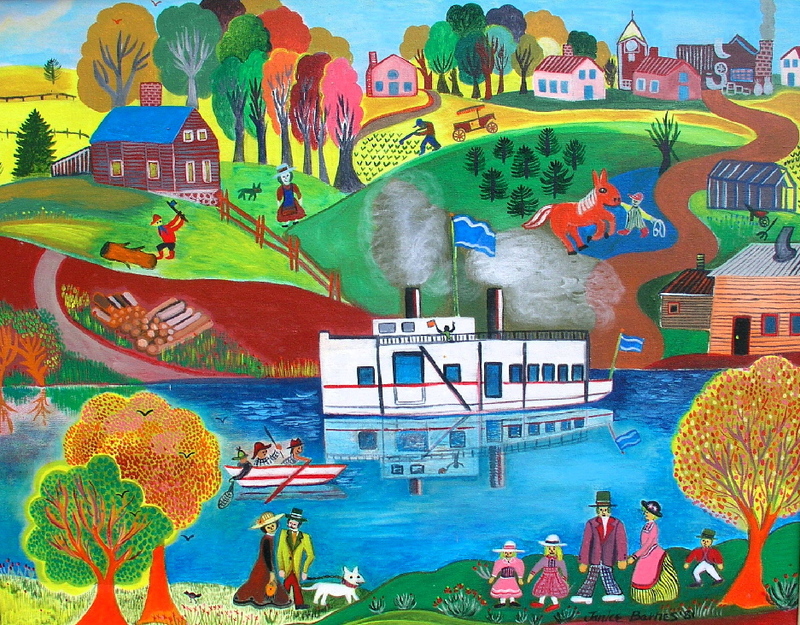 30" x 24".